Well, tbh, as a woman past 50 with 5 kids I occasionally have insomnia...(Duh ) I wanted to create a Lotion Alternative that would be a gentle help in that area. So, Lavender and Chamomile, here we come! First things first. The oils. So many salves and compounds used just Olive Oil as the base. But we our did research on Olive Oil... It would have been far easier to stick with just Olive Oil. However, while it had some definite good qualities for the compounds we desired to make, its acid profile was far too high in Oleic Acid(as high as 83%) to use it as the only, or even the main oil! Oleic acid is thought to make skin more permeable, making it unsuitable for young or sensitive skin in a leave-on product. (Soap is a different animal ...um, product , altogether, as the oils are no longer there in their original form.) So we used a blend of oils, believed to have therapeutic benefits, in order to balance out their acid profiles. Next, the Herbs, Essential Oils, and the finish! Lavender and Chamomile infused in the oil blend for eight weeks brings out the potent qualities of these herbs. On top of that we blended Lavender and Chamomile Essential Oils into the base! And then we firmed it up to a pleasing consistency with just the right amount of Natural Beeswax. You will likely note that there are no chemical preservatives listed. That's bc we don't use any. We make a commitment to 100% Natural products here at Spero Soaps! So, instead of water, and thus Chemical preservatives, we add Natural Vitamin E, and Rosemary Oleoresin, both natural antioxidants. These will not preserve in the same way as nasty chemicals, so keep in the fridge if not used within 4-5 months! 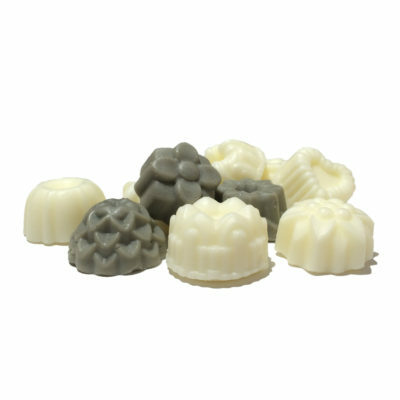 A great Lotion Bar with Menthol! Just take a look👀 at those ingredients👇! Peach kernel oil🍑, Cocoa Butter, Argan, Rosehip seed oil🌹, Jojoba...oh yeah! Top it off with Menthol and you've got a great Hard Lotion Bar!